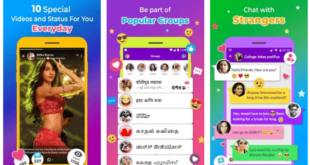 As you all know, Vine app from Twitter is a mobile app which will allow us to create and upload videos with a maximum length of 6 seconds, which makes Vine a tool for video micro blogging. The videos created with Vince can then be shared to social networking sites like Twitter and Facebook. And now Twitter’s video app gets two essential updates; from now it will enable users to record video using both the front and rear facing cameras. For some months, the Vine developer team was collecting feedback on the performance of the app and now they have come up with a new improved version, Vine 1.1. Video capturing with the front facing camera is one among the notable updates which can used by tapping the button at the bottom left corner while creating a post. Also, you can switch between the back and front camera’s as we wish with ease. The next main update in the new version is that, Vine 1.1 supports mentions, which means we can tag people in our video posts as we do in Facebook and Google +. The people we tag will get a notification too. To tag or mention a user you must type, @username, where username is the name of the friend you would like to mention and you must select the appropriate person from the suggestions that appear, as we does in Facebook. When we select a person to tag, his or her profile will be linked with our posts. 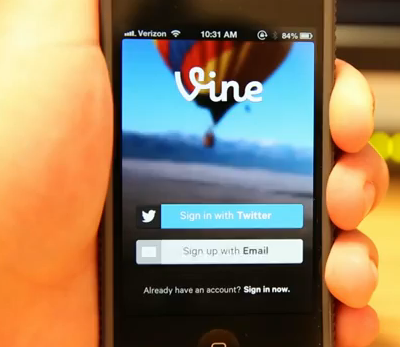 One can downloaded Vine 1.1 from the Apple App store. It is still not available for Android or other mobile operating systems though. I’m just waiting to discover the fun micro vloggers are going to have with the new mentions and front facing camera captures. Sure Twitter’s Vine app updates with the mentions and front camera shooting will be a loved update in the Vine 1.1. What do you think?